Celebration care packages are my favorite. I’m not picky about what kind of celebration; birthdays, graduation, new school/job, religious or secular holidays. I am even in favor of care packages celebrating holidays like National Nutella Day. I think it is important to celebrate people and events. Celebrations honor, remember, and commemorate. Celebrations keep the days from blending together, all the same, one after the other. Celebrations make a day special. When someone you love is far away, care packages make it possible to celebrate together in spirit. It’s like sending a party in a box. Birthdays are my favorite celebrations. Cake is a big part of the day. I have no idea who invented birthday cake, but who ever they were, they were a genius. When my kids were little, I made cakes in the shape of their birthday theme. Some cake shapes were thanks to Wilton pans; dolls, Thomas, Barney, Dalmation puppy, and clown. Other shapes had to be invented due to the obscure nature of the cake; Hawaiian dancer, hand with painted fingernails, Nimbus 2000, lego structures. July 4th is the birthday of the United States, so we have a party with cake. Most of our family doesn’t live here in St. Louis, so we don’t have a tradition of big family gatherings. We usually celebrate the 4th first at home with a special dinner and a red, white and blue themed dessert, followed by a drive to a park to watch fireworks. I would love it if all birthday celebrations ended with fireworks! 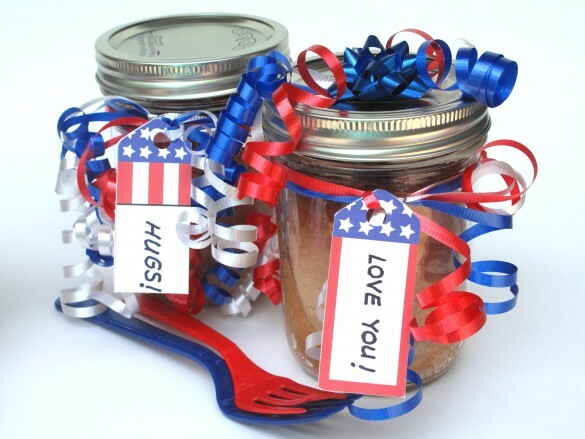 Snickerdoodle Cake-in-a-Jar is a celebration of July 4th and all things full of cinnamon. 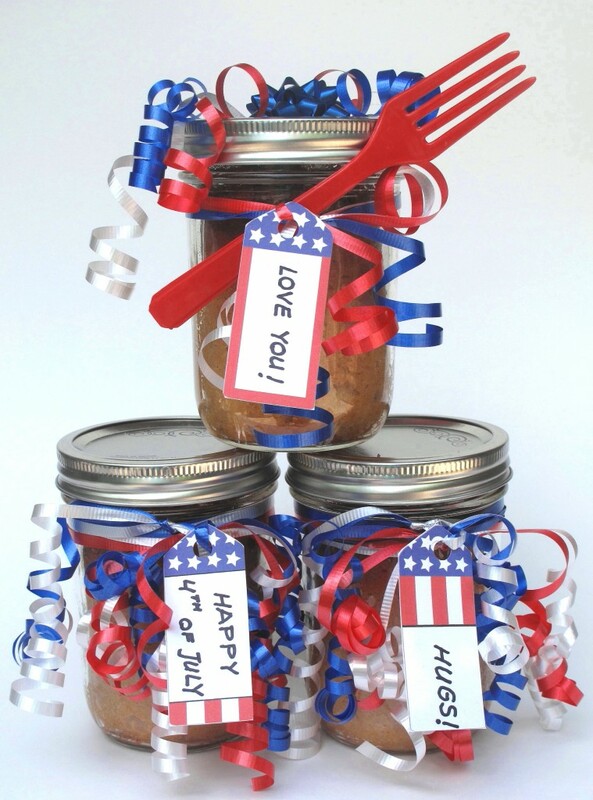 On Independence Day you can call it Yankee Doodle Snickerdoodle Cake-in-a-Jar. Every other day of the year, you can just call it delicious. This moist dense cake has a coffeecake-like texture. Cake-in-a-Jar serves as a cute presentation or as a means to mail or transport fresh cake to someone. If the jars and lids are properly sterilized, and the lids pop and seal when you close them, these cakes should stay fresh for at least 1 week. Baking a cake in a jar, is not the same as canning, and the process does not protect the cake from spoilage for prolonged periods. *** See note at bottom of post. 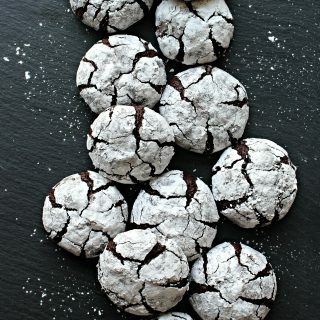 This recipe also works in a 9”x13” pan, three 9” round pans, or as cupcakes. The adorable gift tags on my jars come from lifeloveand sugar.com. Lindsay offers some great cake-in-a-jar tips as well as providing a printable PDF for the gift tags. Coat the inside of each jar with non-stick spray. In a bowl, whisk together the flour, baking, powder, cinnamon, and salt. In the bowl of an electric mixer, cream together the shortening/butter and sugar. Add the vanilla and eggs one at a time, mix until fluffy. Alternate adding the flour mixture and the milk, until combined. In a small bowl, stir together the cinnamon-sugar sprinkle. Carefully place ½ cup of the batter into the prepared jars. 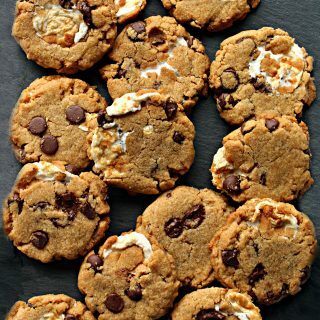 Sprinkle ½ tablespoon of cinnamon-sugar on top of batter in each jar. Carefully place ½ cup of batter on top of cinnamon-sugar in each jar. Wipe off any batter that gets on the sides or rim of the jars. 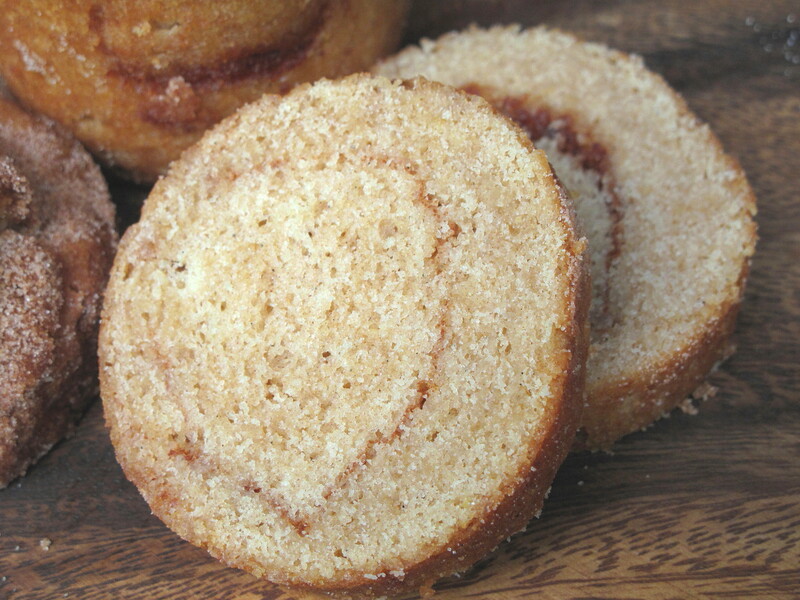 Top each cake with ½ tablespoon cinnamon-sugar. Place on a baking pan with sides, large enough that jars don’t touch. (I used my jelly roll pan but a cake pan would be fine.) Bake for 35-40 minutes. Top of cake will be firm when touched. A wooden skewer can be used to test for doneness. Make sure to wrap each jar individually in bubble wrap and place inside a well padded box. Pay special attention to padding the top, bottom and sides of the mailing carton. Very nice your presentation Wendy!! Thank you, Ada! I wouldn’t put this cake in a jar unless I was giving it as a gift (great for Christmas gifts you can bake several weeks ahead!) or sending it in a care package. 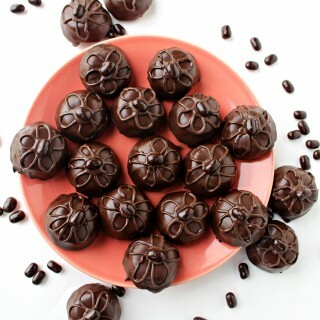 In a pan or as a cupcake, I think it would be extra special with some kind of brown sugar frosting or struesel topping. 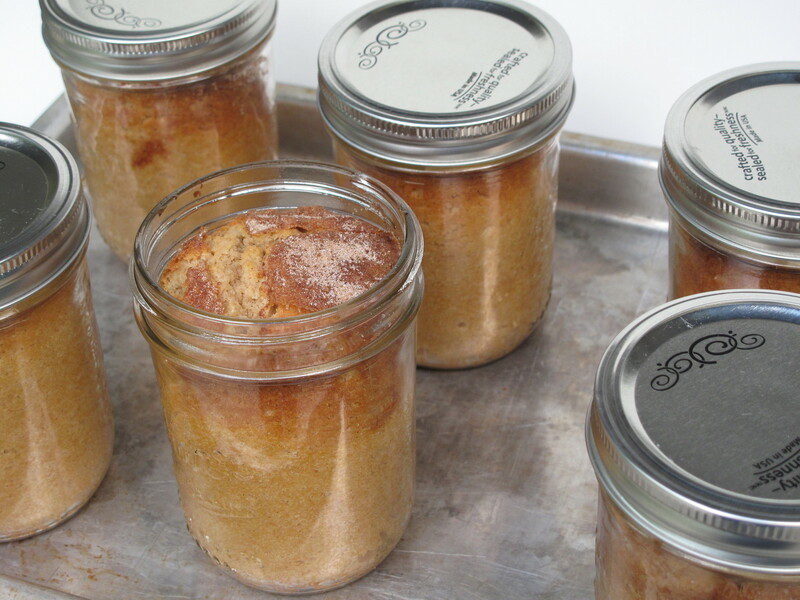 I’ve totally wanted to make cakes in jars – such a sweet idea! Its so much easier than I thought it would be, Jennifer. Just about any cake/cupcake batter will do. For longer storage the ingredients make more of a difference but for gift giving or immediate use, the possibilities are endless. 🙂 This snickerdoodle cake is a good base for a variety of flavor variations, too! Thanks, Jess! 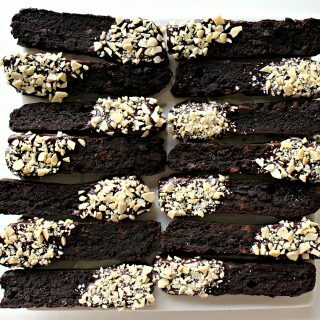 This cake is delicious in any shape pan or jar! How exciting to get grandma time, Suzie!! 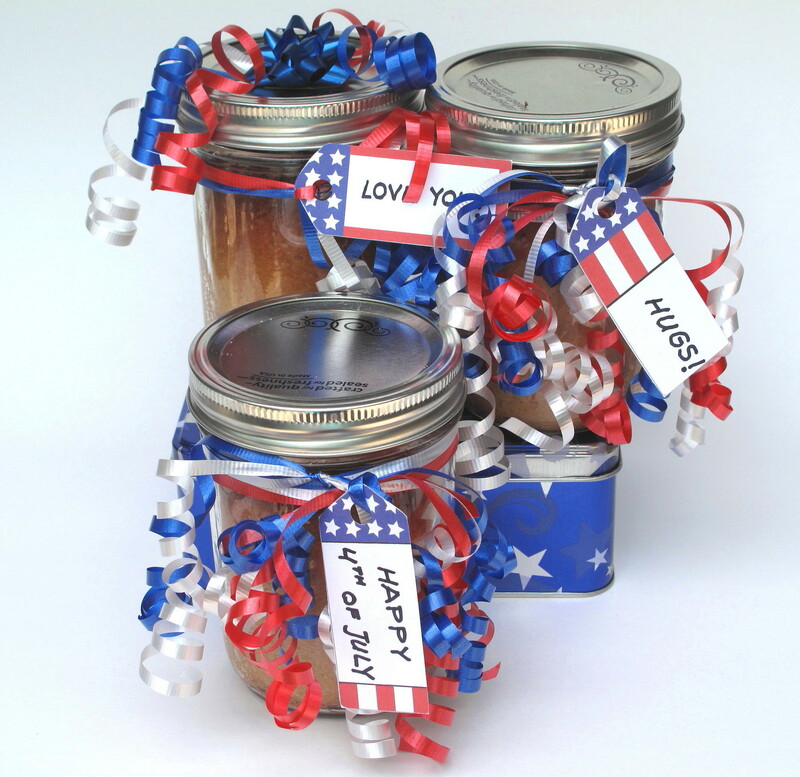 The carefully sealed cake-in-a-jar keeps the cake fresh for military or long distance mailing. 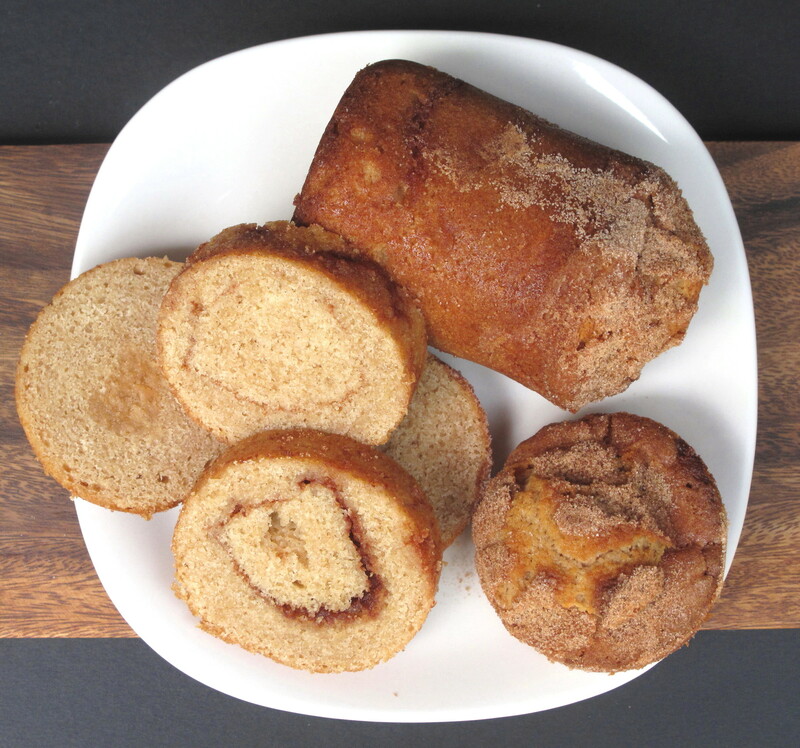 The cake itself is so soft and tasty, it makes great coffee cake or cupcakes! this is miraculous: cake in a jar? 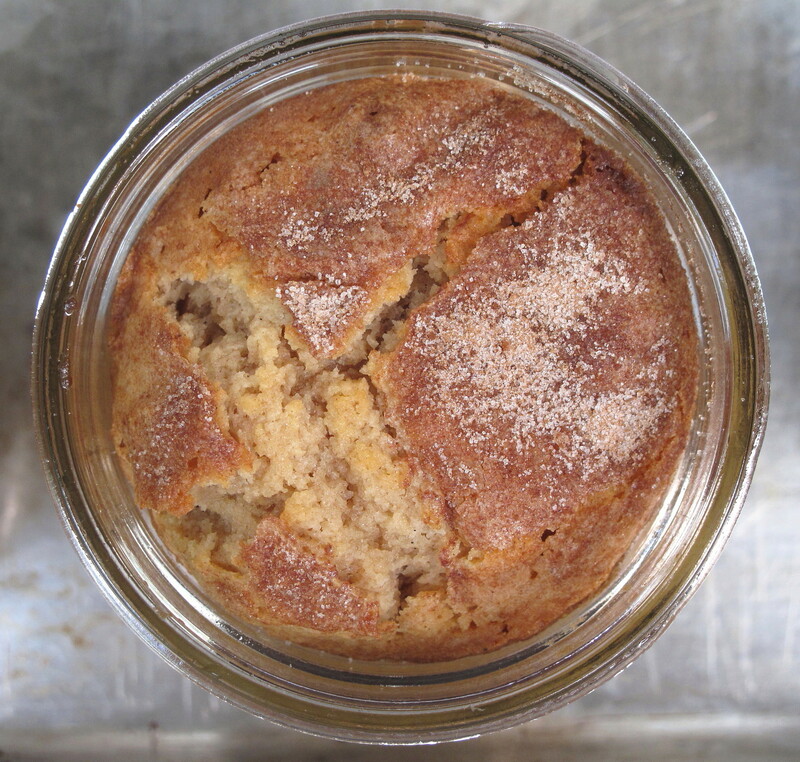 i had NO IDEA you could make cake in a jar AND somehow magically make it stay fresh…that’s really something. I’m totally impressed and i really want to try this for myself. Shannon, we bakers and bloggers ( myself very much included) get super excited about the weirdest things! 🙂 Cake/bread does NOT stay fresh when “canned” the way pickles or jam can. But the sealed jar, if properly prepared, DOES keep cakes fresh and safe, for at least a month. Some people make claims of things staying fresh for a year. I wouldn’t tempt food poisoning that way. But a month has worked for me numerous times. Its a great way to send cake in a care package! Oh man, I haven’t had a snickerdoodle in so long! These are adorable – I love how they look all packaged up! I love it! What a festive and delicious way to celebrate the 4th! Thanks, Sheryl! Sealing a cake in a jar makes it possible to share with loved ones far away. It also makes a pretty presentation for a gift. Curling ribbon ( I am a curling ribbon addict, I think)can make the jar festive for any occasion. What a kind thing to do for your friends, Keren! I hope they turn out great and you all enjoy them. :) There are lots of cake-in-jar recipes online but most of them are not for sealable cakes (suitable for mailing or even leaving on the kitchen counter for a few days). Enjoy experimenting! 🙂 Will you be including one of your beautiful paper craft cards with your friends’ gift? It must have taken so much patience to cut and place those tiny red stripes! This is one of the best explanations of making a cake in a jar. I’ve read a lot of posts/watched youtube videos of how this is done. Probably a mistake because it seems everyone has their own twist on things. A few questions come to mind…1. did you set your pint jars in an inch of water in the cake pan (for even baking?) 2. for a box cake mix, do you bake at the temperature on the box, for how long, and do you use the middle rack? (have seen 400 degrees instead of 350), 3. did you wipe dry the lids so there wasn’t any water getting into the jar of baked cake? (have seen no boiling of lids/no wiping the water off of them) 4. how quickly do you need to get the lids on and rings tightened? ( have seen crazy fast to people just sitting the lid on top of the jar allow it to seal and pop then put the ring on) I have seen where the cooking spray was sprayed on a paper towel to wipe down the inside of the jars vs spraying the insides of the jars which seemed to be way too much spray? 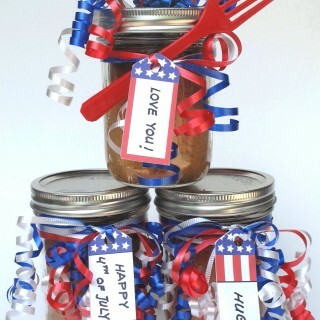 I’m planning on sending cake in jar to my soldier over seas. I’m not too worried about spoilage as it will be cool to cold at their destination. I’ve seen a lot of people express concerns about spoilage/mold/bacteria, and condensation inside the jar after the jars cooled. That’s all for now 🙂 I really like this Snicker Doodle Cake idea!!! thank you in advance for your answers to my questions. First let me say thank you to your soldier for his/her service and thank you to you and your family for the sacrifices you make in their absence! You are appriciated! Now on to cake. 🙂 I will do my best to answer your questions. I have not baked a cake-in-a-jar for awhile and had to re-read my own directions to remember the details. I also had a very hard time deciding what method to use after reading and watching a dozen descriptions. I even solicited advice from my sister who does canning, which only confused me more! What I decided was that there must be many ways to do this that work. I will answer your questions with what worked for me…..1. I did NOT set the jars in water. 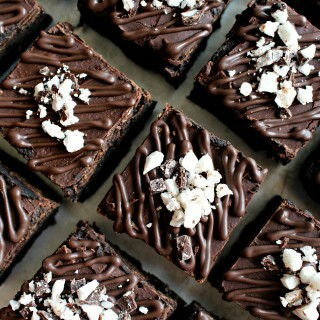 This recipe and my chocolate fudge cake recipe baked evenly without problems with the jars just sitting on a pan….2. I used the temperature on the box of cake mix (350). I probably baked the jars one level down from center, only because with the height of the jars, the center level was too high. 3. The whole point of boiling is to create as sterile an environment as possible so I touched the inside of the jar and lids as little as possible. That said, I did dry the jars and lids with paper towel before using them. Another approach is to put everything in the dishwasher and remove and use when they are dry but still hot. 4. The lids are the most important AND the trickiest part (for me, anyway). They MUST pop or they are not sealed. I found that i needed to put the lids on and tighten right after the jars come out of the oven or they wouldn’t pop. I had a whole batch not pop when I didn’t screw on the ring. I sprayed the inside of the jar because it is almost impossible to wipe the inside without your hand touching. Hands equal germs. This time of year, spoilage should not be an issue. As you say, the hot weather (thank goodness) is over. I wouldn’t bake them today for use at Christmas, but I only hear good things about these cakes arriving successfully in military care packages. 🙂 Please, let me know how it goes. I would love to hear how your soldier enjoys the cake-in-a-jar! 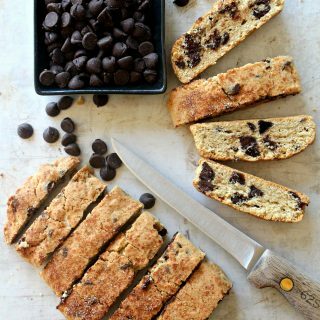 Cool idea for mailing food gifts! Thank you for sharing on Merry Monday! Have a great week! Thank you, Kim! You have a great week as well! What a fun idea, Wendy! The cake sounds absolutely delicious too. 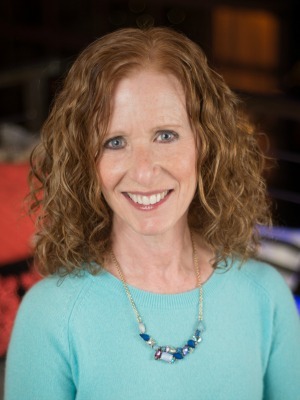 Thank you so much for sharing it with us at Hearth and Soul.